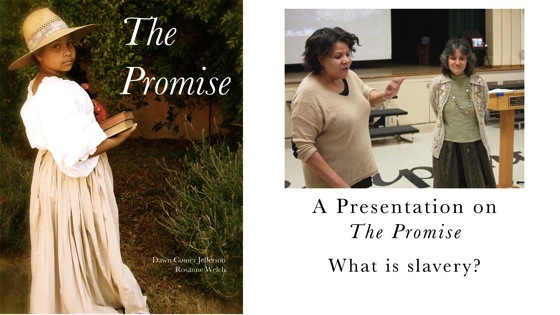 Video: A Presentation on “The Promise” – What is slavery? 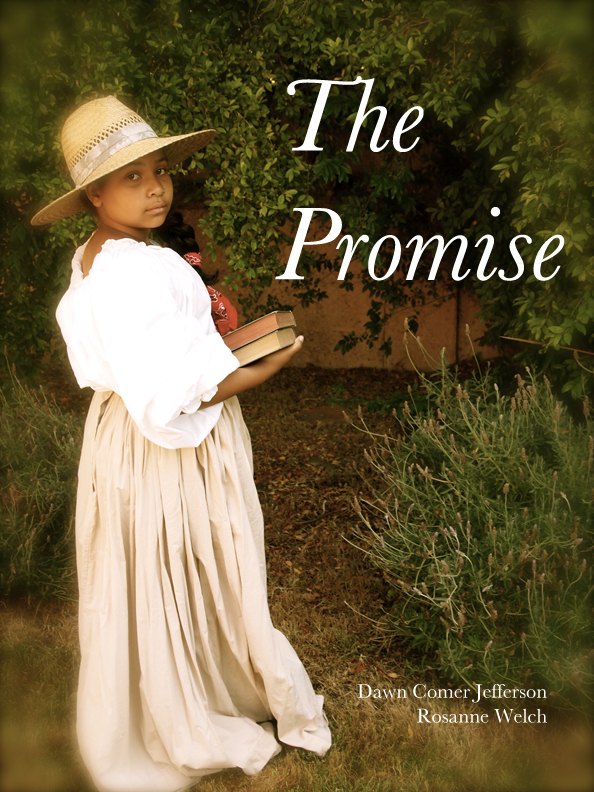 On Friday March 21st my co-author, Dawn Comer Jefferson and I had the pleasure of making a presentation on “Slavery and the Oregon Trail” based on our book The Promise to the 3rd, 4th and 5th grades of Carpenter Avenue Elementary School as the guests of the non-profit Parents For Carpenter. What’s interesting to us — people who study slavery — is the idea that slavery was different in the United States than it had been in the past. Maybe when you study world history, you’ll find out that in ancient Rome and ancient Greece and in Egypt they had slaves. It was a style of labor. That’s what they did, but the way you became a slave in those ancient places was, you were part of a group — two sets of soldiers and you come to war together and this team lost. So the losers became the slaves of the winners. That meant that you knew your slave was as smart and as tough as you were and, just by whatever the accident was of that day in battle, he had lost. So you had respect for him and you could have him teach your children to read or to write poetry or to fight or any of these many things. So there was a weird level of respect in the ancient times. When we come over to the United States and we’re getting started as colonies and all that lovely stuff, we decided its difficult to do that, because if you take slaves that look like you and they run away, other people don’t know they ran away from you and then you lose the money that you put into buying that person. 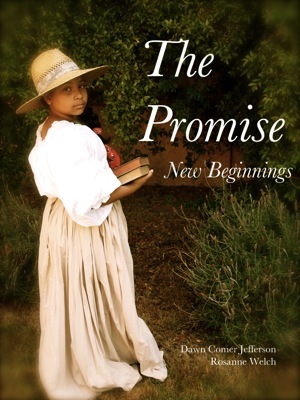 So we decided it made a lot more profitable sense to got to one place where people tended to look differently than the folks who had actually first come to the United States. When we went to Africa and we brought people here — kidnapped them — then we suddenly decided that one whole group of people was only meant to be slaves. That changes how we think about them. We didn’t qualify them as human beings. We qualified them as property — as if you were trading in cars. So this changed people’s attitudes towards each other and obviously was one of the many things that created racism in America. Something we are still talking about wanting to end today. So slavery here became a much worse situation and some people say that because it got so bad that’s why a bunch of people decided that they wanted to end it. Which is what led to the Civil War.